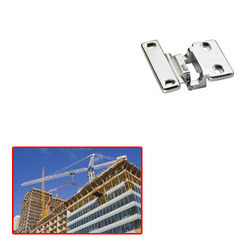 Manufacturer of a wide range of products which include hinges special for construction. In order to attain the maximum satisfaction of our esteemed clients, we are engaged in manufacturing & supplying Hinges Special for Construction. Offered product is manufactured by utilizing ultra-modern technology and utmost grade material keeping in mind the set standard. Our product is quality checked on various parameters before final dispatch to customers. As well, this product is made available as per clients' specifications in a stipulated time.